Instead of a written blog, a video this time. I hope to make one in the field during the harvest season here as well. Someone took below video when I shared my story during a meeting of my organisation in the US last month. 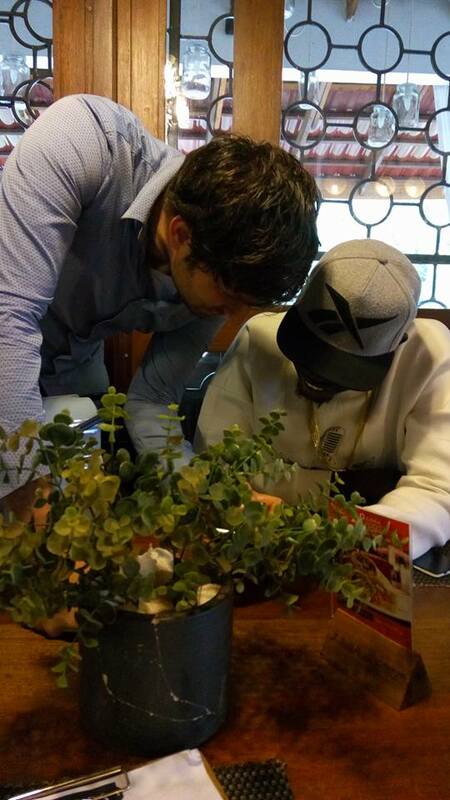 So have a look at me staggering of how a 9-year old boy chased his dream to work in Africa. As an update, after having fled war in South Sudan and a well-spent year in Uganda, I am gearing up for a new project in Congo and just arrived in my new home Bukavu, in Eastern Congo. Leaving behind Yei and the coffee project, was heart wrenching. I truly believed in what we were doing and embraced the 10 year plan behind it. The last evenings I spent in Yei are often interrupted by the sound of gunshots. Unrest is in the air and you can feel it. At the same time excitement is building as the coffee harvest is around the corner and we are all excited. We are getting in stories of ‘incidents’ from the areas we work in. Farmers are starting to leave their homes as rebels and soldiers clash. That evening, on Independence Day the 9th of July, I pack my bags not knowing when to return. I set off 5.30 in the morning driving passed drunken people in the village still celebrating their, once so hopeful, independence. I am quiet during the drive. Just as I cross the border I receive a message from Juba that heavy fighting has broken out. I decide to stop all ongoing project operations and make necessary phone calls. It feels like the bridges behind me are being burned as I drive out; a new chapter torn out of a book I so enjoyed reading. The ensuing days are punctured by security updates, phone calls discussing the situation and going over different close down scenarios. As time on the clock slowly ticks by the coming months, the situation on the ground moves in the opposite direction. The rebels take Yei under siege and cut off food supply. The government soldiers daily harass the local population caught in the middle of the conflict. Every killing or ‘incident’ reduces the hope people have left. carried along as essentials. 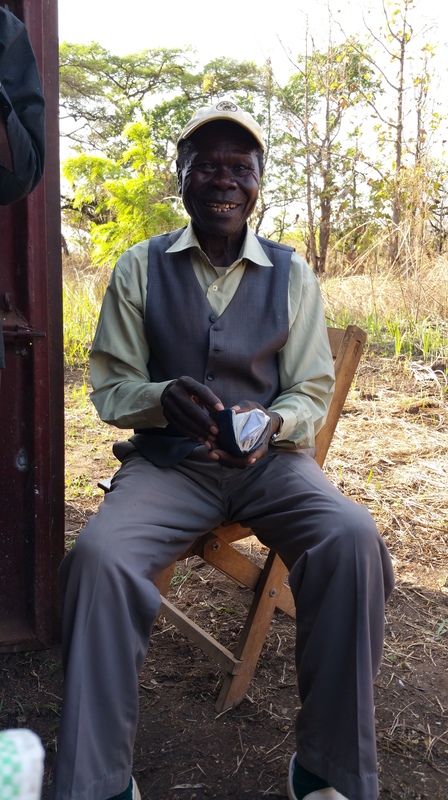 One farmer tells us he footed for hours through the bush to buy some new batteries in Uganda to be able to tune in to this show that gives him hope. 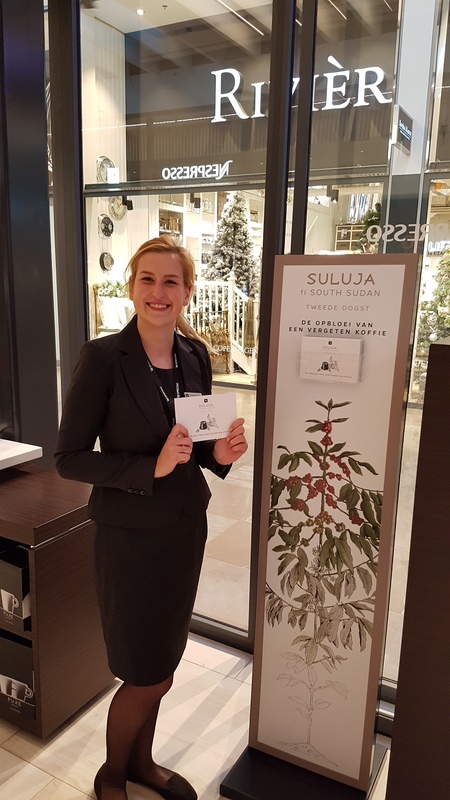 As I visit the Netherlands at the end of October, the South Sudanese coffee is sold there for the first time in Nespresso shops. As they are selling like hot cakes I tour the country to get my hands on the last ones. It is a moment of pride stepping into an upmarket Nespresso shop and seeing the product by Yei farmers on display. I get in touch with a famous rap band I once met before. As we get together, the inspiration starts flowing as they hear about the amazing story of coffee and how it is sold as authentic South Sudanese in Europe and the US. No war story hitting the news, but extraordinarily delicious coffee hitting the shelves. That’s a future they can picture. I let them taste their own coffee I brought back from the Netherlands and as the caffeine hits the brain, a tune emerges. Jabana plays on that Christmas day the whole crowd sings along. They demand the song to be played again and J family ends up performing the song three times. 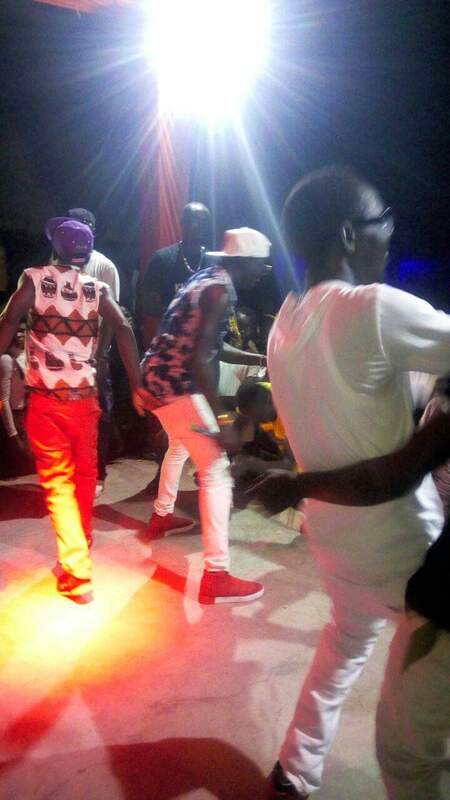 In December Jabana is the most requested song on Juba City FM. The song is being played by radio stations throughout the country and hopefully the story of coffee brings a shimmer of hope into peoples’ homes in a time much needed. The mixture of languages the song is made out of, is symbolic of part of the solution for a country torn apart by tribalism. 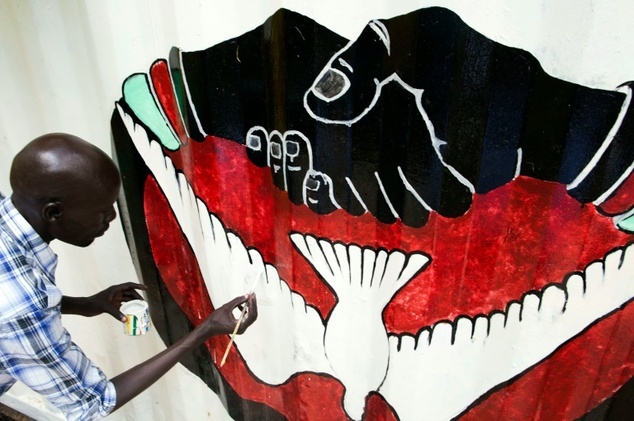 The embrace by people of the song reveals the true longing of people in South Sudan for lasting peace. I pray one Christmas they may celebrate in peace the coming of the Prince of Peace to this world. I’d like to dedicate the song to the farmers in South Sudan working tirelessly tilling their soil to reap a better tomorrow for their families. CORNERSTONEMUSIC AGAIN ….JEHU GOVERNMENT NOW WE TAKE THIS ONE…..
LET US PLANT OUR COFFEE OHH, OUR COFFEE ……. IT’S THE COFFEE THAT GIVES US HAPPINESS…………………. ….I AM THIRSTING FOR COFFEE IN MY HEART…. MUM GIVE ME HEAVY COFFEE…. HEAD IS HEAVY… A LOT OF PROBLEM…. THANKS NESPRESSO FOR TAKING FROM US….. THANKS NESPRESSO FOR INTRODUCING OUR COFFEE OVERSEAS…..
JAY FAMILY WE TAKE TO THE FARM…. SULUJA NUMBER ONE COFFEE…. The elusive pursuit of happiness? Through the centuries people have sought after what makes a happy life. Buddhism holds the promise of reaching such a state of being at some point and Greek philosophers held town square debates over the question of how to reach happiness. In my home country many seems to hold to the view that one has to love oneself, enjoy life, be loved and do fun things in order to be happy. I have reached quite the opposite conclusion here in South Sudan. When people ask me “how are you?” I tell them I am well and happy with what I am doing although I find it hard to explain what constitutes that. Many of the ingredients used to sauce up a happy life back home are not present here: hobbies, great food, day trips, good friends, a partner, sports, fun night outs. Don’t get me wrong I am by no means a monk; I have been fortunate to travel close to 50 countries and love a bohemian lifestyle. It somehow just doesn’t seem to be a prerequisite, nor out and in itself constructs happiness. As I somehow seem to find it regardless of it or in the lack of it. In a cosmic irony, at times, it’s in denying ourselves and giving up comfort we get happiness in return, ultimately hinting at that we were perhaps not made to live for ourselves but others. Over my left I see the sky greeting earth over the horizon. On my right an overweight man with a few remaining hairs draped across his otherwise bold pate. 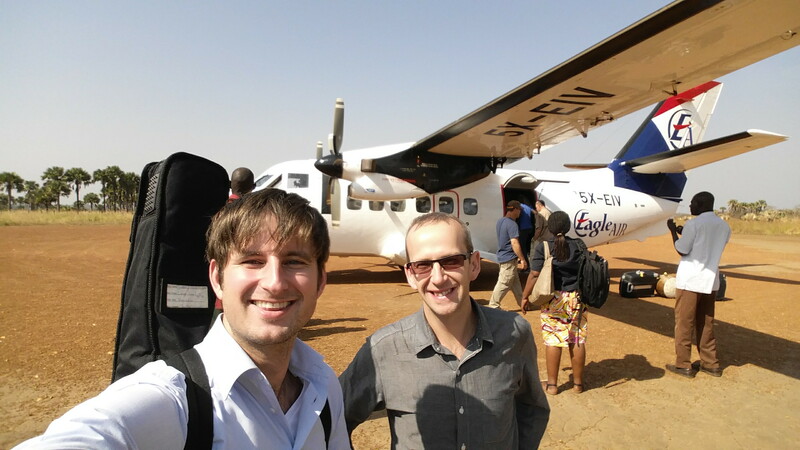 I am seated on a propeller plane flying me into a new world, a new start, into South Sudan. Last year I decided to quit my job over a dream. 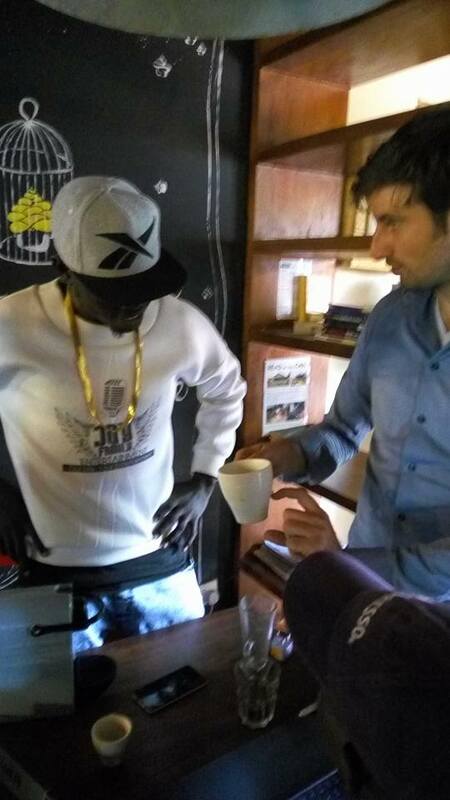 That dream was to build up a coffee sector in South Sudan. I quit a job I actually loved, months before I was even invited for an interview. It was a leap of faith but I felt this ever re-assuring nudge from Above, the exact same I felt moving to Tanzania, Zambia, Rwanda or Ethiopia. As I de-board the plane, I feel a thrilling sense of anticipation running through my veins. The airstrip is little more than an open space of red sand and palm trees dotted along and a small room which cleverly doubles as immigration, security, customs, and check-in and out counter. For lack of metal detectors, bags are checked by hand and your personal items overturned. As our car approaches Yei town, from behind the car’s dust appear decorated straw huts, small shops and friendly waving people. Walking down Broadway just weeks ago on a trip to New York on my way to Amsterdam, it will be hard to imagine the world I come from for people in Yei, and hard for me to understand theirs. I have been living in Africa for a while so none of this should feel all too shocking nor new to me. Yet it does. While I have a bit of reference and can utter few words in some of the continent’s languages, it somehow feels much the same as my first arrival onto Africa’s scene. Tanzania, January 2007. I remember it like the day of yesterday; my first day setting foot on Africa’s soil, trotting Arusha’s palm fringed streets, exactly 8 years to the day I de-board this plane. I then felt a mistitled piece of me fell into place making me more complete. I have that same inexplicable sense arriving here in the most basic of places I have ever encountered so far. 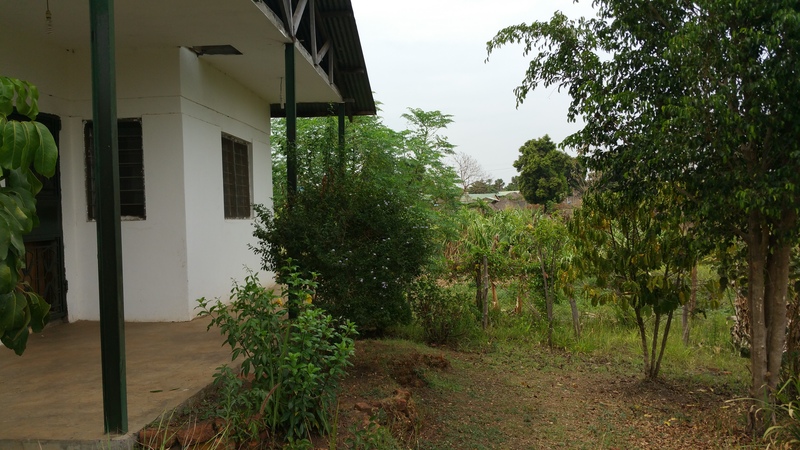 As people have encouraged me to pick up my blog again and share my experiences in the world’s last frontier, I intend to at times sit down and reflect under a mango tree and starry sky I am writing you from now and give you a peek into life here. Feel free to leave your comments below and keep in touch by email, Skype (jannovdl) or mobile (+211 923522242). As official docs have been burned during civil war, I am emailing British libraries in an attempt to piece together the history of coffee in South Sudan. One diligent library clerk walked through whole library and managed to dust off a ’50 brochure in half English/half Arabic showing where some of the first coffee was spotted. Don’t you just love those loyal British old-fashioned library clerks? The country the size of France has over the years only accumulated a scarce few hundred kilometres of paved road; probably less than the zone I grew up in caters for. 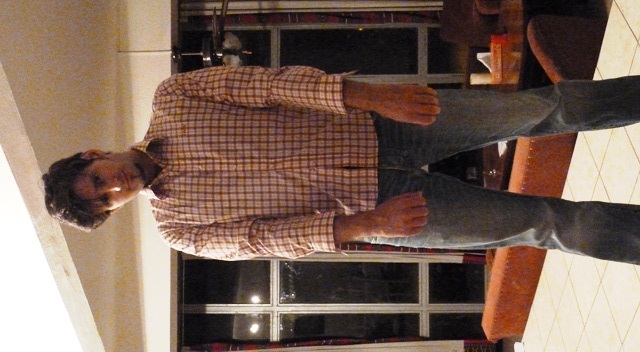 My latest hobby I developed in which I here is to weigh myself. It’s a little trick I play on the blind people in Bahir Dar. It’s good fun. Being blind, your job predicament seems to be to sit on the street with a balance in front of you. The blind tie themselves to it with a little shoestring as not to get robbed of their only business property. The 5 dollar cents they make is a simple reminder in how just a dire poor situation people live. In the blazing sun, they wait in an encroached posture for someone curious enough to find out his weight. On a positive note, this offers me the opportunity to give business to people who need it most, without being patronizing and without being white. I simply step up the scale, not really looking at the figure that pops up, thank them for the service and leave them the usual blessing. It seems a paradox that after all that training and experience as a development worker I know no better than stepping up a scale. I should have developed a much more complex and refined approach keeping long-term results in mind. The more I get to know about development and the way it spins, the simpler I get (or the less I understand in Socrates’ words). I simply find fulfillment in handing out a coin to a lady in need and in the act she might brighten up my day as much as I brighten hers. During the day, I spent my whole working day getting results as I am dealing with Bill Gates’ money, not mine. I find fulfillment in that; turning a rich man’s dollar into poor people’s three dollars (my job description). Yet I wonder if there is not more to life. Ethiopia seems like the ultimate biblical setting with donkeys, lame, dirt roads and all. I have the pleasure of meeting beggars on a daily basis, along with the opportunity to serve them in a Jesus kind of fashion. Yet I don’t really. It feels more like annoyance than opportunity. The beggar on the street is the same guy that tries to get in my pockets with one hand as they try to ‘sell’ me some gum with their other. It’s the guys that the Ethiopian government forbids me to give to. It’s the lime-sniffers and the drunk. I Know, I know, I shouldn’t judge… but it disturbs me on my way heading to work claiming to work for the poor in this country. The most inspiring person in human history once said “it is more blessed to give that to receive”. I just love how the new pope Francis in a position of authority and responsibility simply sneaks out at night to feed the homeless; breaking all rules. It reminds me I can never outgrow the importance of stopping for a second and talk to a beggar on the street. 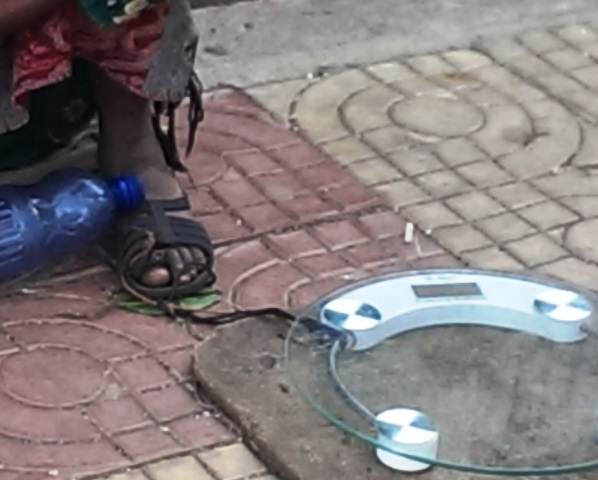 At the moment, the blind shoe stringed lady offers me a way to echo Jesus, as Francis is doing, in my own little way. It works for me. I hope it does for the blind lady too. 50 years ago post-independence leaders met in Addis Ababa, coined the ‘capital of africa’, to establish a league of African nations. Being on the brink of shaking off the shackles of colonialism, leaders dreamed of building a prosperous continent based on African values of unity, solidarity and oneness. Today I am seated here sipping my coffee in the same place, where again African leaders convene again a few blocks across to celebrate the African Union’s 50 existence. Today when I work here new roads are being build witness to the new elan that Africa is regaining during its recent economic boom. A new generation of leaders convened again to celebrate. In the past 50 years Africa has witnessed a tremendous makeover. 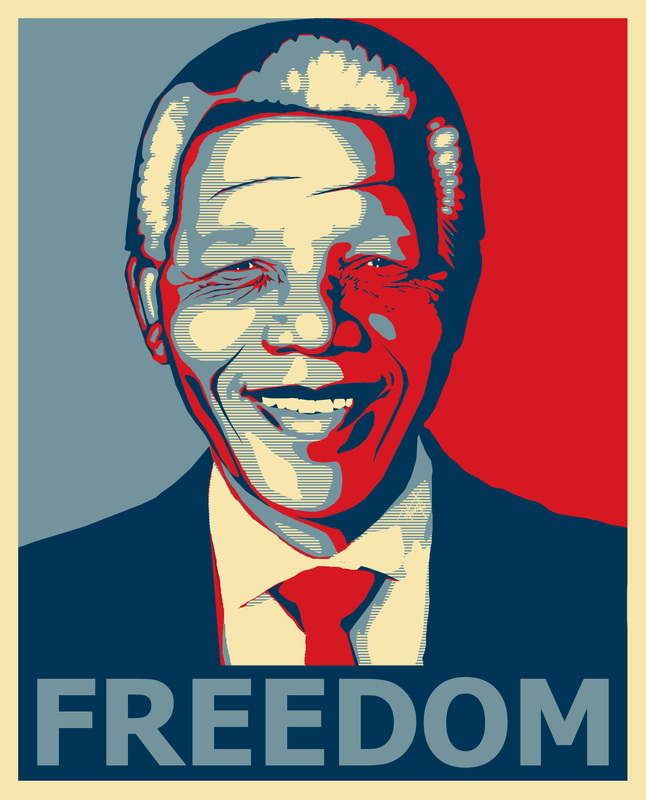 Turning back the hands of time, 50 years ago Nelson Mandela, was taken to prison for being black. As he spent his 27 years there, he was looking out of his cell hoping that he might live to see a different world. Outside his cellblock the television is showing images of starving children skin over bone in Ethiopia sending waves of shock across the globe. Bono and Geldoff are calling upon the world to come to Africa’s rescue and the ‘we are the world’ LiveAid concert is to go down in history as the biggest aid fundraising event ever held. Ethiopia best exemplifies how Africa’s independence hope foundered and slid into famine and despair. However, today Africa is no longer solely object of the world’s pity but increasingly seen as a place of opportunity with South Africa recently hosting the World Cup. Let’s have a look at what went down the past half century going from hope to despair and more recently towards unearthing new found hope to a possible brighter future. Yet before experiencing the economic re-birth the past decade echoes across the continent, it first was further to sink into debt, war and AIDS was yet to show its real teeth. In the 80s Africa was hit hard by the global crisis with demand for exported raw material plummeting and imported oil prices souring. On top of economic downturn, military conflict tightened its grip. In post-independence Africa (Nambia’s independence in 1989 marking the end of colonialism) civil conflict was rife cumulating into the 1994 genocide decimating Rwanda’s population and the first African World War in 1998 pivoting around Congo. Remarkably, it was during the same decade also the first sparks of a better tomorrow were seen with Nelson Mandela being released from prison and elected as president in 1994 heralding a new era of peace and reconciliation. The turn of the century meant a turn in Africa’s fortune with African leaders adopting the Millennium Development Goals in 2000 an ambitious agenda endorsed by 180 states to declare poverty history by 2015. Government and aid programmes have done a tremendous jobs of getting children in schools and providing access to modern health care. Today primary school attendance is over 90 percent, while measles deaths have dropped by that same percentage since 2003. Debt cancellation of African states in 2006 helped pave the way for effective economic growth. However, most economic fortune has come from trade, not aid. Into the new millennium mobiles phones started to pour into the continent not only connecting Africa to the rest of the world but signaling new found wealth on the back of a surging global demand for its products and Chinese investment readily spilling over Asia’s boom into Africa. Kenya is now the global leader in mobile money transfers. Truth be told, the economic boom hasn’t reached everyone equally. An inexcusable large part of the population still lives hand to mouth. But while the situation hasn’t changed for everyone, the outlook definitely has. An average African now votes, has access to (often free) education, vaccines, owns a mobile and has a fair (though modest) chance of being employed someday. Economic wealth has been coupled with better governance with fewer and fewer dictators being able to still cling on to power. Kenya for a few days descended into tribal chaos after its 2009 elections, but soon got back on two feet reminding everyone no one wants to go back to where it was before. As Africa is no longer solely associated with war, misery and famine, other aspects of a diverse continent are receiving more attention as of late. West African drum beats and Congo’s rumba are becoming popular. Nigeria is home to the world’s second biggest movie industry, birthing more movies a year than Hollywood. The nascent fashion industry is another point in case. The extravagance and overly bright colours of the Congolese chaupeurs made early fame and a more organized fashion industry of ethnic prints, raffia-work and anti-linear designs is sweeping across the continent. While Africa has never been any good at mass production, it has a longstanding tradition of handmade craftsmanship. Haute couture needs hands more than machinery, and those abound. More and more African made designs now trot the catwalk. Africa is poised to take off over the next decades. The number of middle class Africans has tripled over the three decades to 313 million people, or more than 34% of the continent’s population. Today’s economic status is that of China in the 70s. With the world in flux, Africa is becoming an ideal place for risky investors looking to avoid stagnant growth rates in Europe. Its growth will be overshadowed by Asia truly becoming the world’s global giant. In that sense it is more a matter of catching up with the rest and it will continue to take a back-seat in world economy but that seat is growing more and more comfy. The past 50 years has seen a tremendous change Africa has transformed itself from food aid to potentially food exporting. It is refreshing to see Africa walk the world’s economic and cultural catwalk. The coming 50 years will tell if Africa is to truly unleash the lion it is at heart. What I remember from my first visit to Ethiopia was the strange experience of being labelled Chinese for the first time in my life. During my trip through rural areas our jeep passing caused kids to run up to the road and starting to laugh, jump and shout ‘China! China!’ CHinA!! Over a century ago the missionaries were the ones to penetrate the interior of Africa. Nowadays the European priests have been silently replaced by Chinese road construction workers. On no other continent outside Asia the Chinese footprint is clearer than on Africa’s landmass. Not only are its roads built by Chinese, they are Africa’s number one overseas investor. Large chunks of these investments go towards mine construction, digging up Africa’s natural resources. Often these go hand in hand, a good example being the landslide deal the Chinese government made with Congo to build a huge road across the country in exchange for ownership of some of its mineral wealth. In a similar fashion, in agriculture Chinese are blamed for ‘land grabbing’ by simply buying of up vast tracks of land from budget-deficit governments. Western criticism aside (which is low on credibility here anyway given its colonial past), in times of global peril Chinese prove to be a very helpful friend in times of need, always prepared to slide over a billion here or there. The plain business rhetoric deride of any moral connotations is seen as refreshing by most. In short, African governments love China. 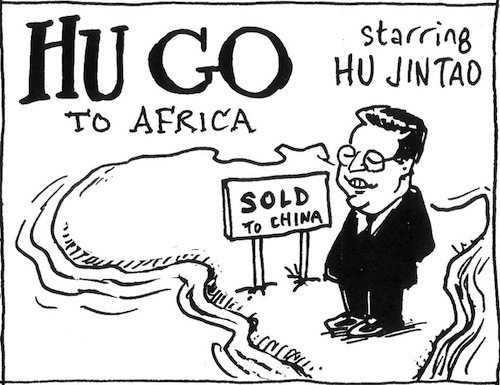 Apart from politics, there is economic rationale to prove that the China’s involvement in Africa is bliss. I once attended a lecture by one of the world’s leading development economists, Paul Collier, stating that the biggest development push of the last decade has been not been by any NGO efforts but simply the availability of cheap consumer goods imported from China. While organisations like mine try to increase income, Chinese work on the other end of the spectrum by simply lowering prices and thus creating a bigger bang for the buck. Instead of working hard to get an economically unprivileged farmer from 1 to 2 dollars a day (basically what I am trying to do here) Chinese products simply lower the costs of a 2 dollar product to 1. Truth be told, China is not lowering prices of basic needs like food, but mainly of phones, clothes, cosmetics and all kind of consumer goods. Chinese coming up on stage has led to a whole wide range of consumer goods being opened up to a much wider range of consumers than ever before. The mobile phones ringing in the most far flung places give testimony to this. However, this new kind of ‘development’ comes with a snag in it. While the Chinese business man succeeds in offering the African consumer dirt cheap products, the actual price is being paid after the moment of purchase. That is; when it breaks. A common feature of any product that is Chinese made is its poor quality. It might just break on your way home. I had an interesting conversation with the driver from my office. He seemed to disagree with Paul Collier. Trying to vouch for the Chinese and the cheap products they bring to the consumer, he interrupted me ‘Cheap? !’ you think Chinese products are cheap Janno? Let me tell you something: If you just think about what you get for what you pay and how long it lasts, they are in fact very expensive!’ My driver belongs to a rare breed of African consumer that actually thinks long-term and rather spends a lot of money at once; a luxury few people can afford here. For example, he buys Clarks shoes. Clarks are imported from the UK and known here for their quality. Earning a local salary, he still thinks that this is a better deal than the Chinese pair which would cost him a fifth of the price but he needs to replace every other month. He not only refuses to buy Chinese products, he thinks that this junk is dragging down the country’s development. ‘The biggest challenge Ethiopia will have to face in the future is how to get rid of all Chinese products’ offering merely illusive prosperity. Whether the Oxford economist or simply my streetwise driver is right I don’t know, but the Chino-African marriage is definitely a tetchy one. I had my first fishing trip on the Nile, floating on a rubber boat trying not to bump into any hippo’s. Didn’t catch anything, great experience though. As Chinese aren’t exactly amongst the world’s tallest, neither are their clothes. Even an XXL blouse does not nearly meet the length of my arms. Police don’t stop foreigners for the simple reason they are afraid of having to speak English.